Ideal for interiors with more generous proportions, the Malleate Side Table presents a larger scale side table of exquisite quality. Hand-crafted by skilled artisans in the signature Porta Romana style, Malleate features a hammered ring of steel frames with a decorative finish and lacquered wood top. This faux concrete top adds unexpected depth and interest to the delicate design. 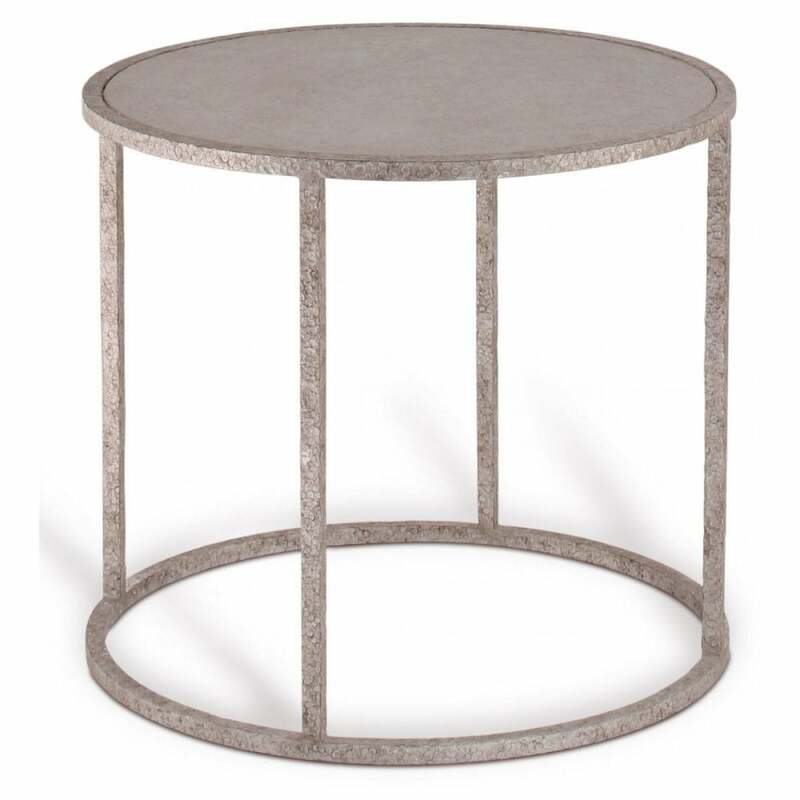 Perfect for placing next to a sumptuous corner sofa, this elegant side table works beautifully with sleek materials such as leather and suede. Available in a range of finishes, choose from Decayed Silver, New Bronze or Decayed Gold to suit your scheme. Also available with a clear glass top. Get in touch with our team to discuss custom options.